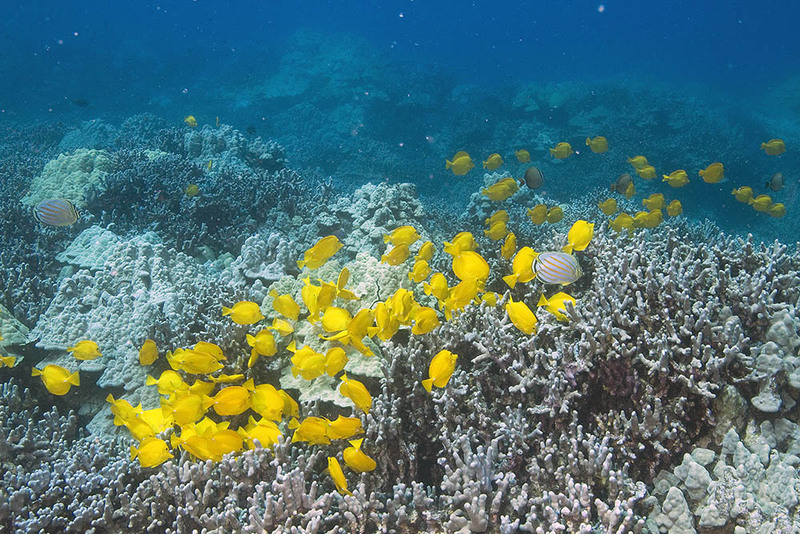 The Yellow Tang, Zebrasoma flavescens, is the iconic marine aquarium species at the heart of the debate over Hawaii’s marine aquarium fishery. Image by Marj Awai. We urge the Governor to veto S.B. 1240, because it impacts the safety of divers and ignores extensive data collected by the Department of Land and Natural Resources (DLNR) that support the small, sustainable and highly regulated aquarium fish industry. This issue erupted in the West Hawaii (Kona) community in the 1990s, and the Legislature directed DLNR to bring all parties together to resolve it. As a result, 35% of the coast was closed to aquarium fish collecting. DLNR also began rigorous data collection of aquarium fish populations and has surveyed fishes for over 17 years. 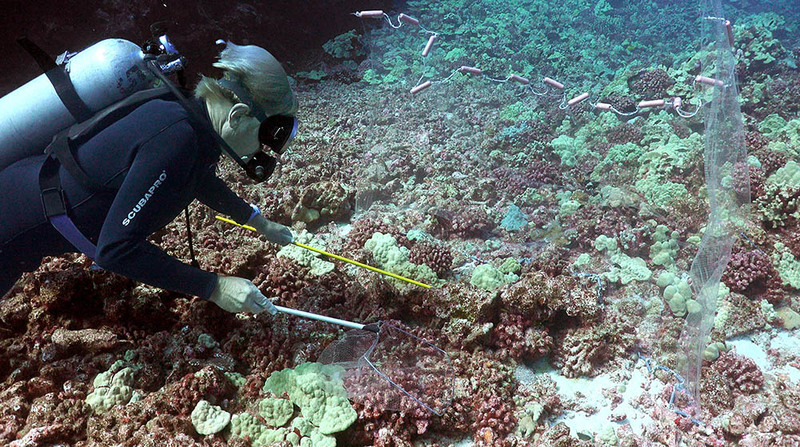 More data now exist on the West Hawaii aquarium fishery than any aquarium fishery in the world. Although reefs where collecting occurs have fewer fishes than protected areas, the populations fluctuate in synchrony with the protected areas. In fact, populations have increased over the past few years. This fits the definition of a “sustainable fishery,” where fished populations do not decline over time. Now the issue has resurfaced, led by people who were not involved in the 1990s community meetings. They argue, without data, that aquarium fish collecting is harming the reef and that aquariums are unethical. The health of coral reefs is important to all of us, but the causes of reef decline are manifold, while the effect of the aquarium fish trade in Hawaii is negligible. Pollution, invasive algae, introduced species, climate change, and overfishing of food fishes are the major concerns. Earlier this year the DLNR engaged an international group of coral-reef biologists regarding coral bleaching. Of the dozens of recommendations, these scientists ranked aquarium fish collecting as least important. Biologists are more concerned about plummeting populations of large herbivores, such as parrotfishes (uhu), that feed on benthic algae. 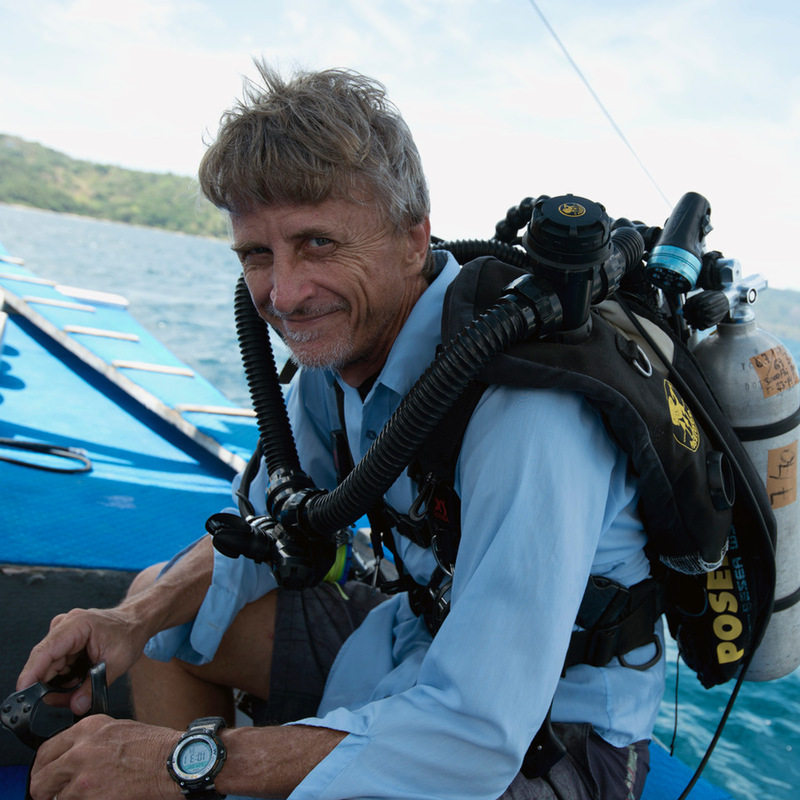 All of us who sign this letter are strong supporters of reef conservation. 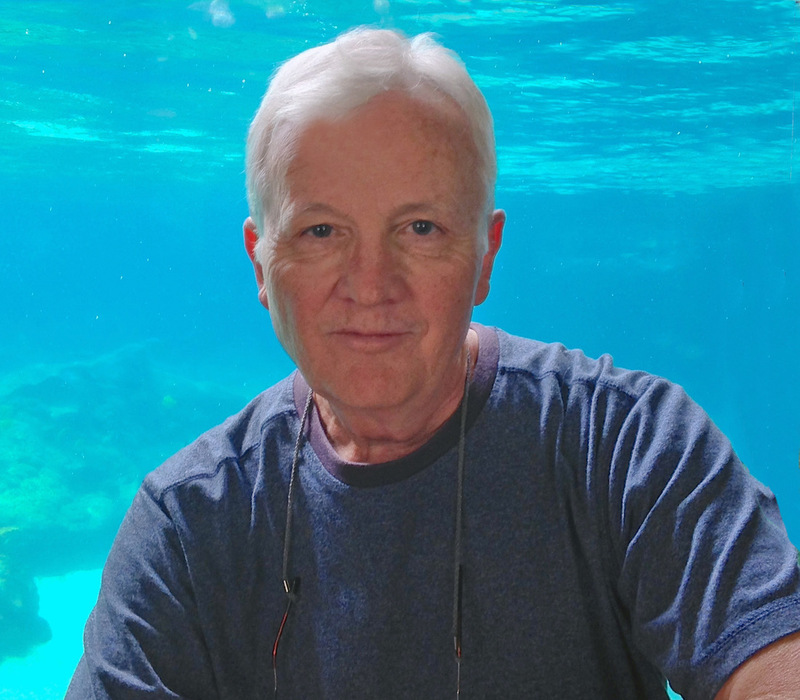 Each of us was inspired by our early years maintaining aquariums, showing how aquariums can direct people into life-long careers protecting the sea. Thanks to data collected by DLNR, we do not hesitate to support the Hawaii aquarium fishery. It is, in fact, the most highly regulated inshore fishery in the state. If DLNR hopes to engage other fishermen to adopt similar regulations for important species such as uhu, it can point to the aquarium fishery as a textbook example of how a coral-reef fishery can be sustainably managed. Instead, due to a relentless public campaign of misinformation, the aquarium fishery is on the verge of being closed. What lesson will this convey to other fishermen who may be asked to enter into good-faith agreements to limit their fishing and agree to no-fishing areas? Why trust government? And, why should any biologist ever want to spend years intensively working on the dynamics of reef fish populations if the effort will be ignored and discarded? SB1240 is a compromise by Legislators to put this issue to rest, but it gives no credence to the science representing Hawaii reefs and leaves aquarium fishermen with few options for their safety, their livelihoods and their families. We urge the Governor to veto SB 1240. Share this story on Facebook, Twitter, and your favorite reef-keeping forums. 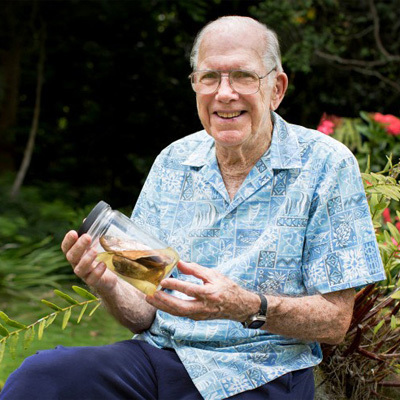 Dr. Richard Pyle was born and raised in Hawaii, has worked at Bishop Museum for over 30 years, and has dedicated his life to exploring, understanding, and protecting coral reefs. I support the valuable efforts of the Hawaii ornamental marine fish trade in their efforts to have a sustainable and controlled fishery for ever.